The following is an excerpt from the Amazon best seller, 42 Rules of Marketing. One of the biggest challenges for marketers is “the launch.” Whether it is the initial company launch, the launch of a second-generation product, or a launch into a new market segment—the process is similar and the results are equally important. “Launch” is one of those tricky marketing words. If you ask three people for a definition, you will get three different answers. I define launch as the beginning of an overall integrated marketing campaign. When a launch is planned as a stand-alone event—a big party with industry press, analysts and customers—you will usually see a spike in press coverage. That spike will generate awareness and demand, which leads to initial sales. But then it tends to flattens out. This is when people start to second-guess their revenue forecasts. Sales starts to question whether Marketing is doing its job. Marketing starts to question why Sales can’t close the deals. Every launch has a beginning, a middle, and an end. If planned well, one launch will lead right into the next. A launch can take many different forms. It can be a “big bang” or “crescendo” where activities lead up to or are triggered by a specific event. It can be more like “rolling thunder” where activities are happening over a period of time. The key here is that a launch is not an event. It is a series of related marketing activities focused around a single purpose—achieving your business objective. Planning your launch so that each activity is integrated with the next takes teamwork, organization and patience. I like to start by picking a launch date—you have to start somewhere. Remember the launch isn’t an event, but it is always helpful to have a deadline. The date can be tied to an industry event, a holiday or season, or basic product availability. Once you have your deadline, the launch date, you can begin to develop a launch plan by working backwards. List all the activities you have planned for the launch. Identify the dependencies. For example, you need creative content from the landing page to include in the email campaign; you need the messaging before you create the datasheet; you need a customer testimonial for the website and the sales presentation. Based on the timing of each activity, create a timeline of when each item is due, and who is responsible for getting it done. Your plan should have three main sections. First, activities leading up to the launch date like developing the messaging, creating the webpage, sales presentation and datasheet. Second, specific activities that occur on the day of the launch like when and how the website goes live, the email campaign begins, the press release is issued. Finally, activities to continue the excitement like feature articles, customer webinars, sales contests, email and viral campaigns. Steve Larsen, CEO of Krugle, used participation in the DEMO conference as one element of his plan to launch Krugle in 2006. Larsen’s goal for DEMO was to get 1–2,000 users signed-up for the beta product. Three days after the conference, Krugle has signed up 35,000 users. 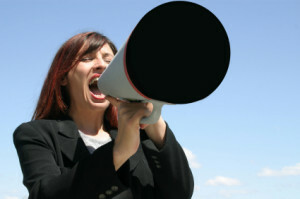 The follow-up communications became a critical element in Krugle’s marketing plan. The event was only the beginning. The real work had just started. Your launch plan doesn’t have to be complicated. It does need to be a living launch plan. Things have a way of changing. You need to be able to adjust quickly as you learn more, and identify the impact of changes on other activities. Having everything written down helps you identify the impact of changes across all elements of the launch. It also helps minimize the “oops” factor—that tiny little detail that falls through the cracks, and that your boss and colleagues will remind you about for years to come. It is the million-dollar-question for most entrepreneurs. In order for your business to grow, you need to win new business, while growing your existing business. Study after study have proven that it is much cheaper, and much more profitable, to market to an existing customer. If you already have a relationship with a customer and they buy something else from you (either a product or service) that “sale” didn’t cost you half of what acquiring a new customer would cost. So, when looking to grow your business, start with customers you already have. However (and it is a big however), marketing and selling to your existing customers will only get you so far. Eventually, you need to win new business, find new markets and attract new customers. I estimate that probably millions of pages have been written on this subject. But Chris Brogan narrowed it down to 7 Ways to Win New Business. I like things that are direct and to the point. I like lists. And I loved this post. One of his ideas struck me as critical to the success of most entrepreneurs: Focus on what you do best, and do that even better. One of the most common “mistakes” I see entrepreneurs make is to try and do everything all at once…even things they don’t like and/or aren’t good at. The best marketing strategy won’t work if you don’t execute it well. The best way to make sure you execute well is to….focus on what you do best and do it even better. If you need help with other stuff, ask for it. You can find a consultant, contractor or an employee who likes doing what you don’t. Find the things that you like doing and are good at. Focus your energies there. The results will speak for themselves. Case Study: KidzSack – planning and doing alot! I first came across Tina’s products while looking for some entertaining and useful stuff for my kids when we travel. I found the KidzSack and have been a fan ever since. What I love about this product, and the company founder Tina Hill, is that these handy kids backsacks are practical, thoughtful and tough. I found out why when I asked Tina to explain her business to me. Tina planned everything down to the smallest details. Then she started working…I mean doing things, calling people, sending samples. She planned a little so that when she started doing stuff it worked. Here’s what Tina has to say about her experiences building her business and her brand. Laura: How did you get started with KidzSack? Tina: I am a 44 year old mom of four who started my business with just $200 about 2 years ago. Now, I am in over 120 stores internationally including Four Seasons and Ritz Carlton Resorts. Laura: What was your strategy when starting out? What made your backpacks different? Tina: I had to be both unique and creative in my marketing and brand strategies. First, let me tell you that Kidzsack is an eco friendly, creative backsack for kids ages 4 and up. There are obviously tons of backsacks, backpacks, and sportsacks out there…so what makes mine different? What would make mine stand out among all the others? And why is it eco friendly…I mean, everyone is jumping on the eco band wagon these days, right. Kidzsack fabric is made from 100% recycled cotton and soda bottles making it eco friendly..and it is made in the USA. I decided from the get go that I needed something to set me apart. I wanted to be first in a new category…something to give buyers something to really think about. Kidzsack is the only creative backsack on the market that uses recycled fabric. Something that Whole Foods has taken notice of and I’m now selling there. Kidzsack packaging is made from cardboard that can be recycled but not just that…being a parent concerned with quality, I’ve made packaging that isn’t entirely enclosing the product. I want consumers to be able to touch the fabric and see the quality. It’s not cheap lightweight poly cotton. The fabric is 10 oz. canvas that the consumer can actually feel for themselves. The packaging is even mom designed by a local mom! Kidzsack is mom invented and made in the USA. I know that when I’m shopping for gifts, seeing something mom invented and made in the USA makes me pause and read more. Especially in a market where EVERYTHING is made in China. This also sets me apart from the majority of mass merchandise coming out of China. 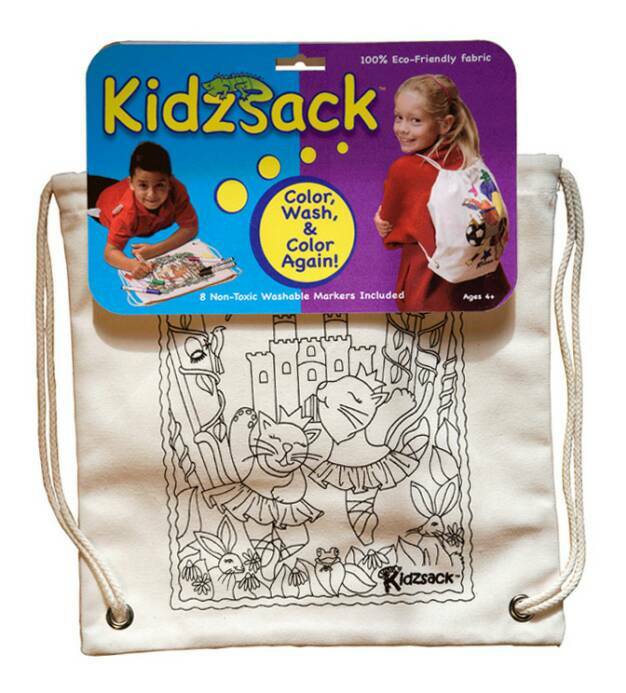 Kidzsack is packaged with reusable markers because as a mother of four kids (13, 11, 9, & 7), I understand the importance of buying an activity (arts & crafts item) that can be used again…and again. 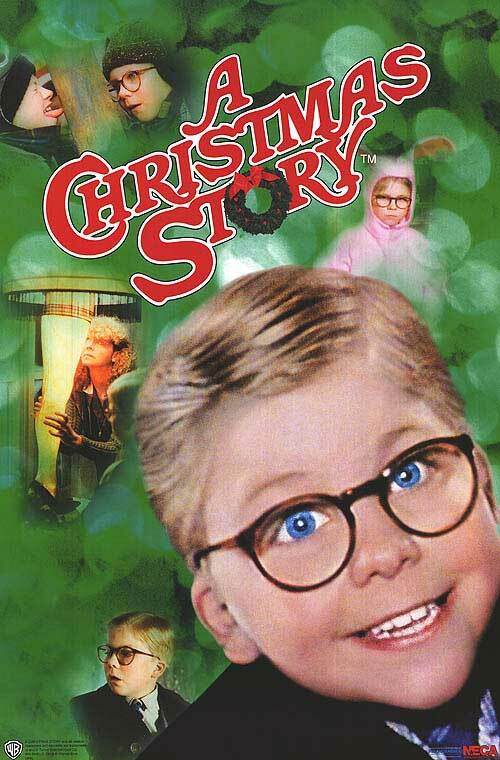 How many times have I bought a gift in the past that my kids played with once…and then it got put away on a shelf…or in a closet…never to be played with again and left to collect dust!! Buying a reusable product, activity is something that consumers are looking for…especially in this economy when everyone is feeling the pinch. Laura: What have you done to get visibility for your product? Tina: I have created a product that is first in a new category; that stands apart from the rest because it’s using materials that other similar products are not. I have contacted every newspaper in every town that I have ever lived in to get them to write a story on me. I have contacted every eco magazine to get them to do a write up on Kidzsack. I have e-mailed friends for contacts at networks and that has gotten Kidzsack on CBS NY. I have networked and e-mailed and blogged and you name it…because I have every intention of making Kidzsack a household name. I’m trying my hardest to stay true to the USA and am even using local manufacturers for both screenprinting and sewing. I’ve created something that moms can understand because it’s a mom must have. The Kidzsack solves a problem. When mom is running out the door…all she has to do is, grab a Kidzsack, throw a juice box in and snack. No more looking for toys, activities, coloring books, crayons…BECAUSE KIDZSACK IS THE ACTIVITY. Kidzsack is a Fun Creative Bag for Kids on the Go! The following is an excerpt from the Amazon bestseller 42 Rules of Marketing by Laura Lowell. After much observation and questioning, I have come to classify marketing people into two groups: Planners and Doers. This may seem a stereotype, and it probably is, but bear with me. Most people I talk to can definitely place themselves into either one camp or the other. The Doers: These folks, on the other hand, must be doing something. Anything. It doesn’t matter what they do as long as they are “moving the needle” and “making progress.” They have great ideas, and are excited and energetic. They are generally fun to be around. Because of the infectious spirit of the Doers, others jump on the bandwagon and everyone starts doing things. The issue is whether the Doers are doing the right things. Are they consistent with the strategy and business objectives? Are they integrating with other activities going on? Are their activities repeatable? Can they grow over time? Back to the Friends example—Phoebe, as opposed to Monica was the quintessential Doer. She did whatever came to mind, whenever it came to mind. Everyone loved Phoebe because she was spontaneous and full of energy. The point is, you need both Planners and Doers in order to get things done. Not everyone can walk the tightrope between planning and doing. And that’s the biggest issue—the lack of balance between strategy and tactics. Thanks to the Planners, companies can develop brilliant strategies— on paper at least. Thanks to the Doers, companies can spend a lot of time and money without much to show for it. What the lucky ones quickly learn is that developing a strategy is very different from executing one. When companies try to implement their strategies, they run into obstacles such as channels, partners, technology, infrastructure, competition, or lack of resources. The reverse is also true. Companies can spend so much time executing that they lose sight of the business objective.For example, they might end up with an awesome website, but no incremental sales (See Rule 2.) To be valuable, strategy must be practical, and tactics must be integrated. Planners and Doers tend to have difficulty connecting the dots between their plans (strategies, objectives, etc.) and their actions (tactics or activities). Lots of time, resources and money get wasted. This is a luxury of days gone by and one that business today can’t afford. My Mom used to tell me “if you slow down, you’ll go faster” and she was right. How many times do you wish you’d just taken a minute to think something through before you jumped in? How about you? Are you a planner or a doer or maybe a little of both?